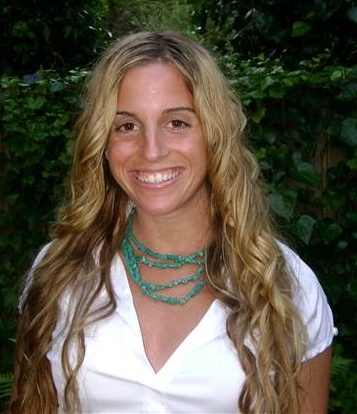 Dr. Sarah Anne Rothman is a State Board Licensed Naturopathic Doctor and State Board Licensed Acupuncturist. She is dedicated to guiding you on your path to optimal health and wellness and is passionate about integrating Western and Eastern Medicine. She treats a wide variety of health conditions and offers services for every age, from pediatrics to geriatrics. She holds a strong interest in women’s health and focuses on hormonal balance, fertility, menopause, thyroid health, healthy aging and healthy menstrual cycles. She is a certified WTS Doctor and will work with you to optimize body temperature and thyroid function through nutrition, herbal medicine and various forms of thyroid hormones as needed. She also treats a wide array of digestive troubles, food and environmental allergies, cardiovascular and metabolic disease, skin disturbances and mood imbalances. She values an integrative approach to health, through preventative medicine, acute and chronic care and individualized treatment. As a primary care doctor, she believes it is her duty to spend adequate time with each patient and to listen, educate and tailor each visit according to your needs, encouraging you to take an active role in your health. She is happy to work with your other health care practitioners to provide you with the most well rounded, best possible care she can. She believes strongly in the power of food as medicine, the healing potential of herbs and nutrients and sustainable health care. As part of her clinical training Dr. Sarah spent time at a community HIV clinic working with patients to help improve their quality of life, decrease the side effects of their medications and help keep their immune systems in balance. As well, she was on a pediatric specialty shift where she treated children and parents with a wide spectrum of concerns. She has also spent time doing some clinical work abroad in countries such as Bolivia where she trained in pediatric clinics and hospitals, and Kenya where she worked with patients and physicians in rural natural health and homeopathic clinics. As well, Dr. Sarah has a strong background in fitness and personal training and has taught fitness and spinning classes to a wide array of fitness levels from beginner to athlete. She believes that diet and exercise are integral to overall health and offers dietary counseling and meal planning through her clinic. She lives in Pacifica and loves to hike, run and play in the area with her husband, her daughter and her dog. She is thrilled to be living and practicing in this wonderful community and looks forward to working with you to help you live healthy happy.